It is the season of warmth, coffee, dry fruits, blankets and snow. So how do you spend your winter season? Do you prefer sneaking out of the comfy rooms and hangouts with your friends or you like to hibernate at your place to be surrounded by heating systems? Some people feel super sleepy and lethargic in winters (I am one of them, LOL) while others get energetic by having brewing coffee during winters. It all depends on how you and your mood take the weather. Some likes the winter season and others like summers. Well the season of winter calls for brewing coffee and the dazzling froth that seizes everybody’s hearts. Because since nights are replete with snow and way too colder we need to keep ourselves warmer by having coffee and by wearing comfortable woolen clothes. Lately I was asked by a client to make a logo for his coffee café that motivated me to also draw a coffee mug that in future designers could use for their commercial or personal projects. 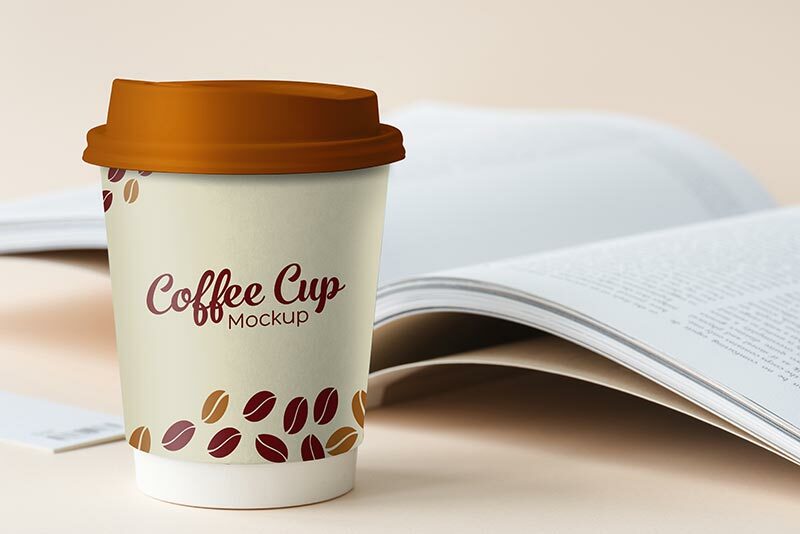 Here I made this free small paper coffee cup Mockup. Feel free to use it, add up your elements into it, change the design or theme and use it for your clients to give them the idea how the coffee mug of their coffee brand/company/cafe will appear to be in its tangible form. Mockups are helpful to get the insight and total picture of the product therefore they are highly recommended to use in making impactful presentations. For more amazing design dose, art feed and some amazing tech collection stay tuned to us, we are all set to bombard you with stunning stuff. All you need to do is to subscribe to the blog and don’t stop on getting yourselves our daily design updates. Here we go with a hope and anticipation to receive your feedback. It encourages us and lets us know what we should incorporate for the future posts. Thank you! I dont have time for leave my coments in this awesome website!